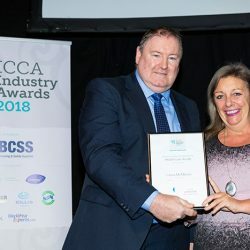 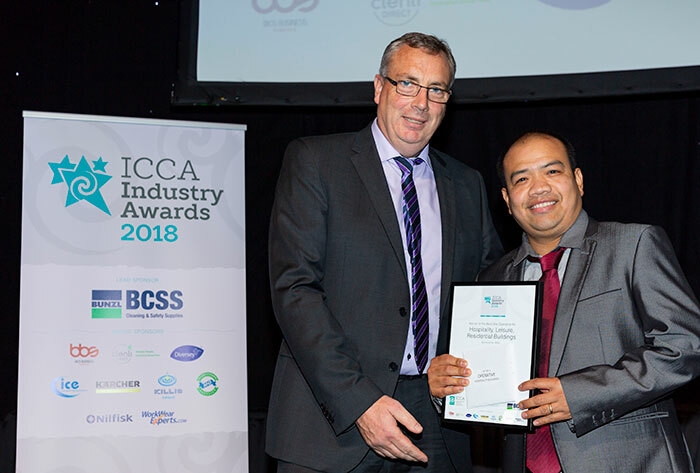 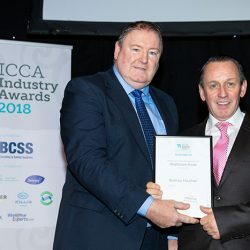 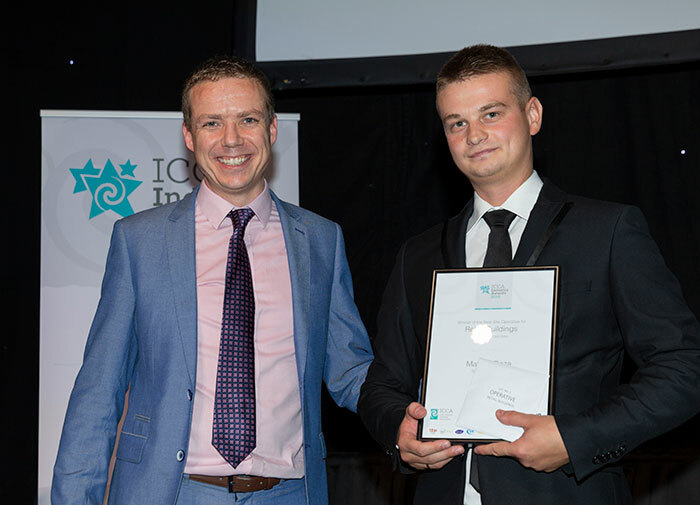 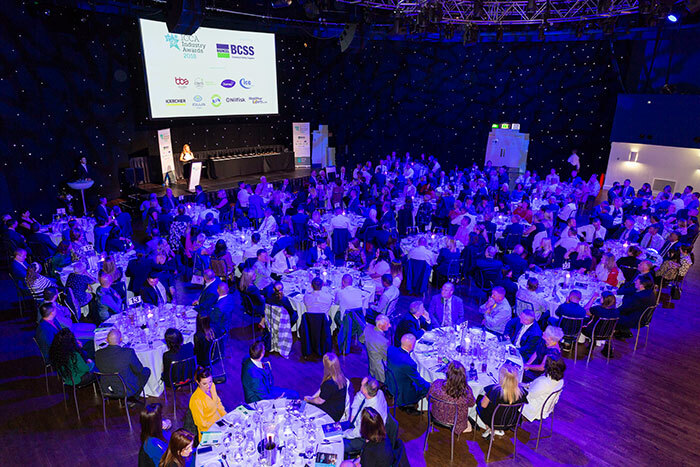 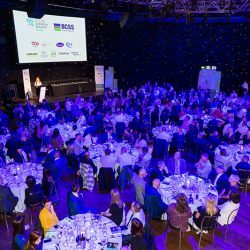 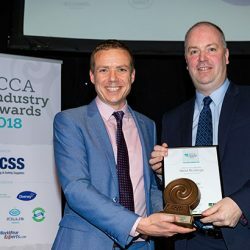 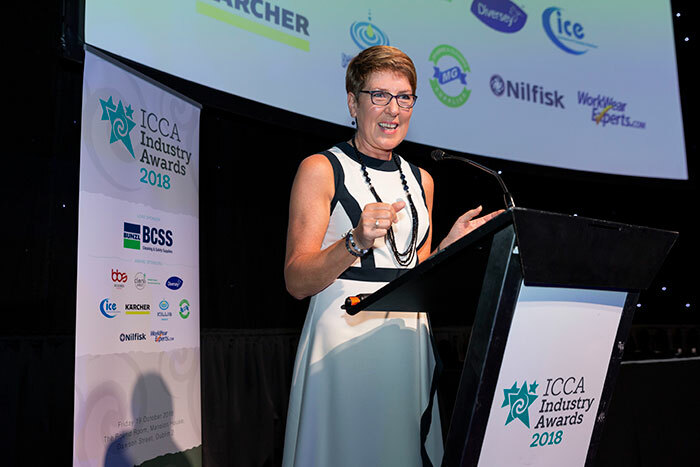 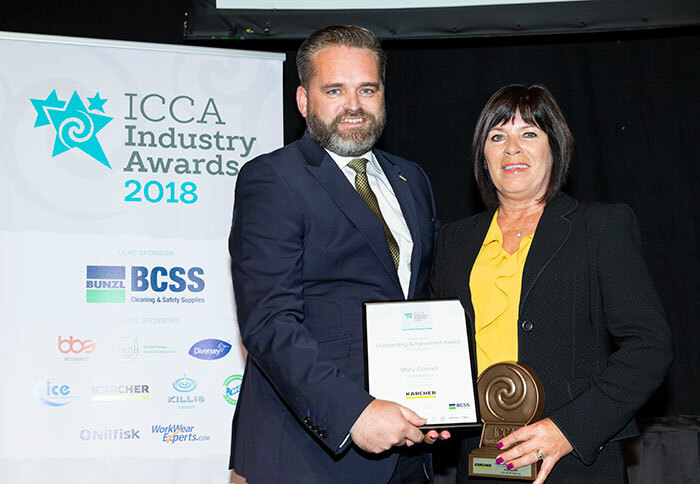 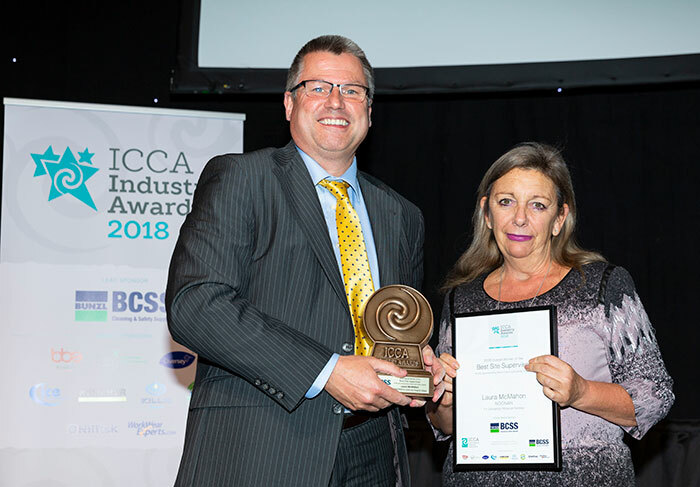 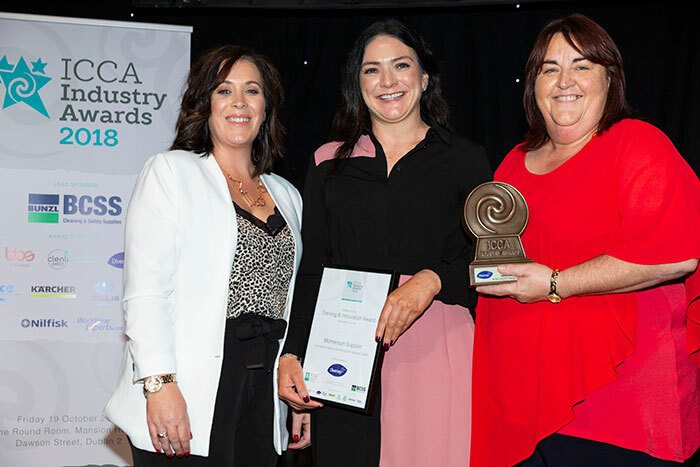 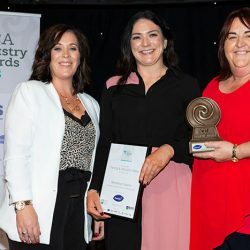 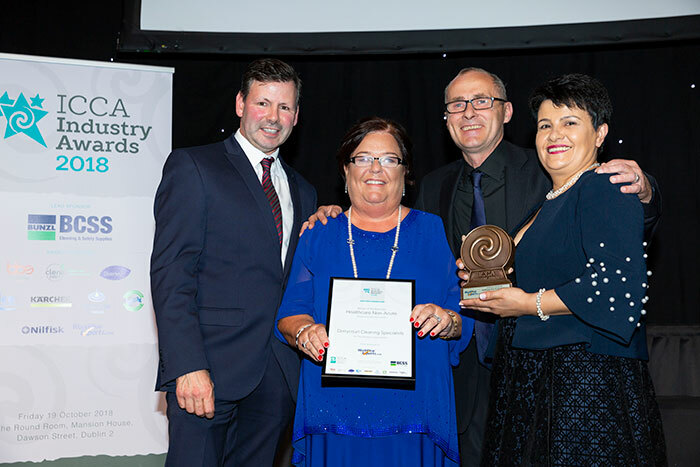 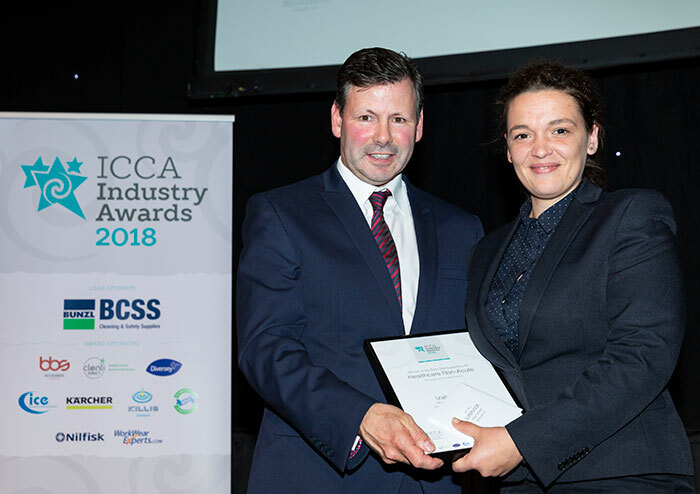 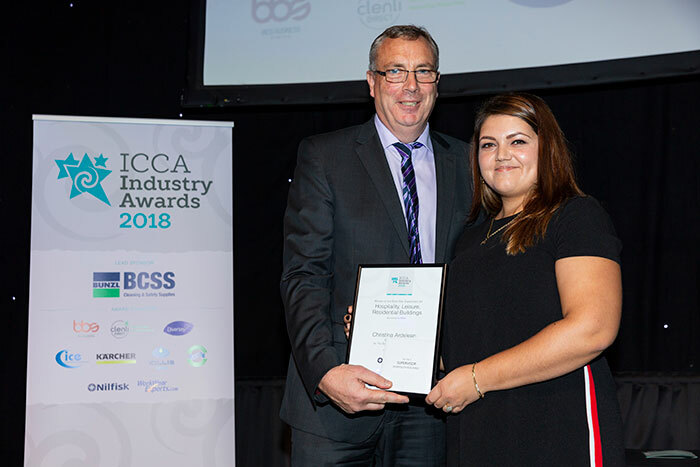 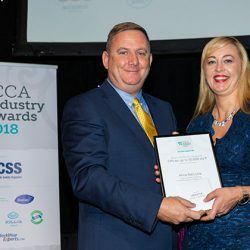 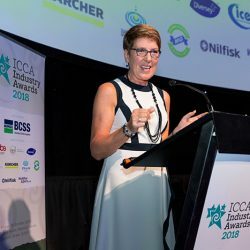 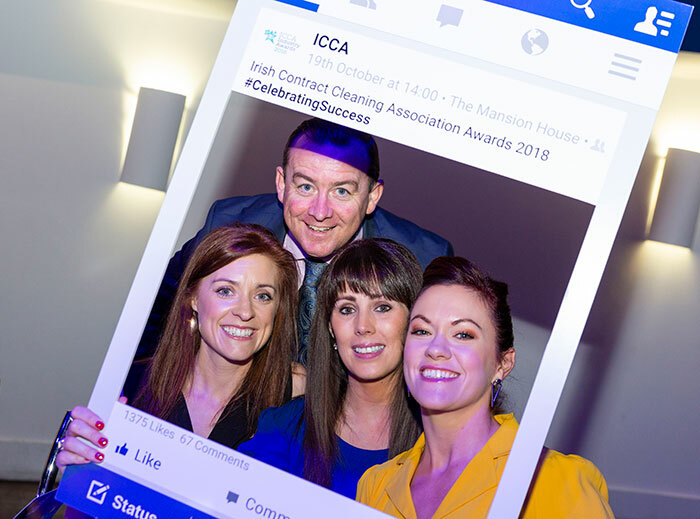 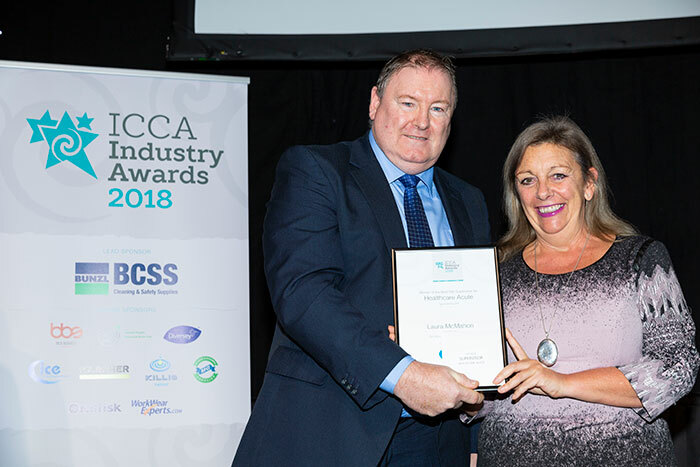 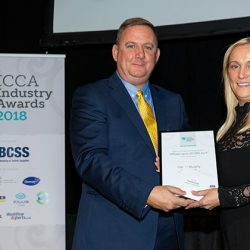 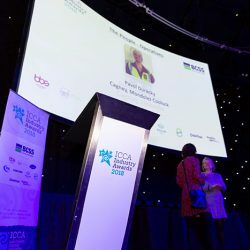 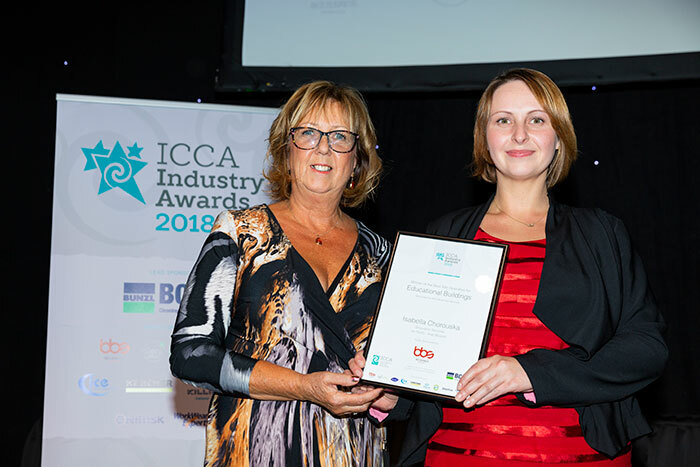 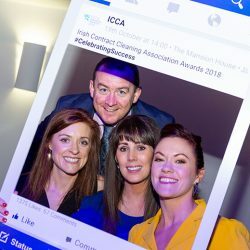 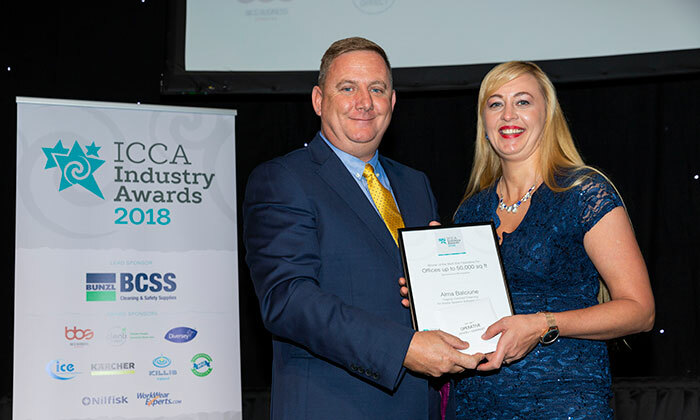 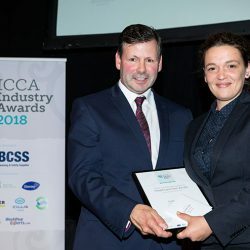 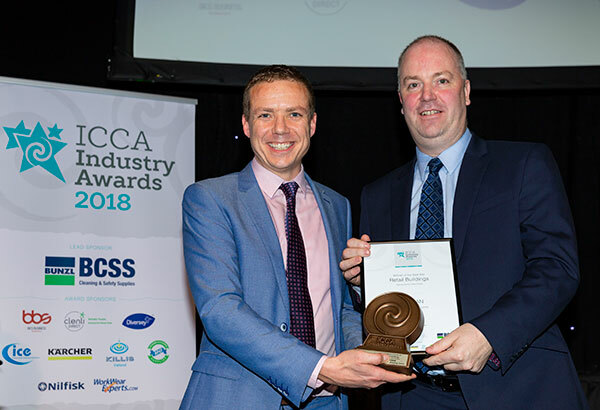 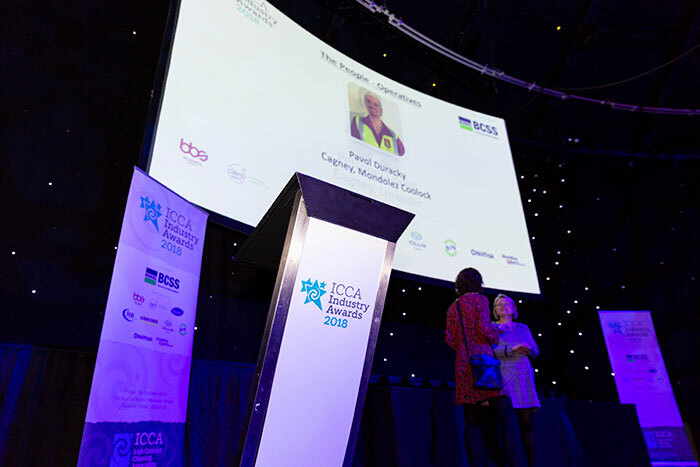 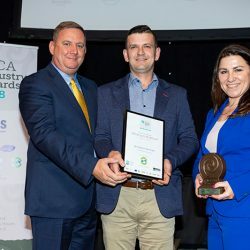 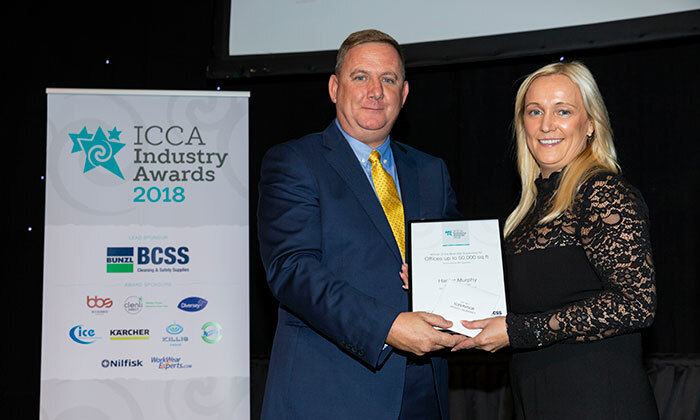 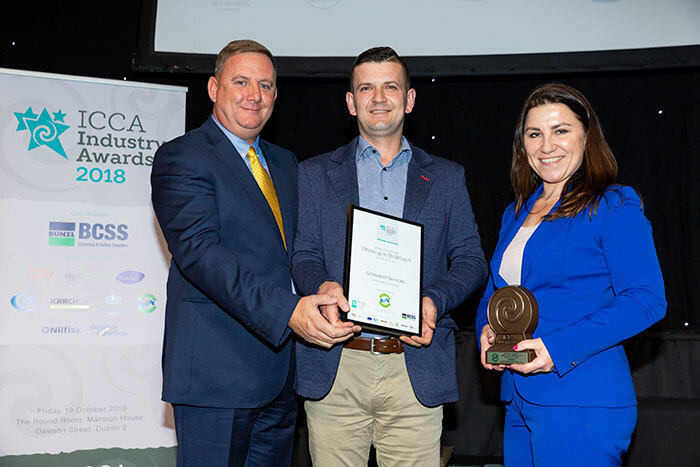 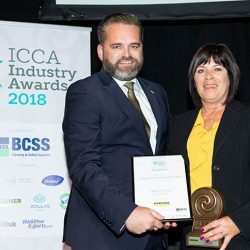 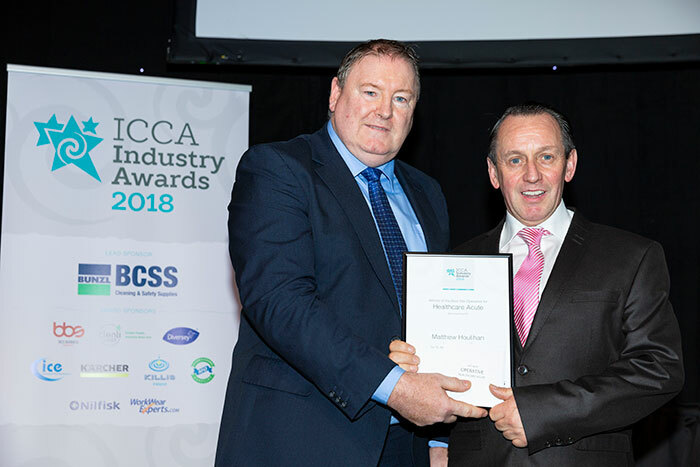 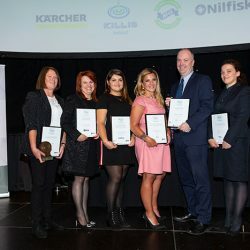 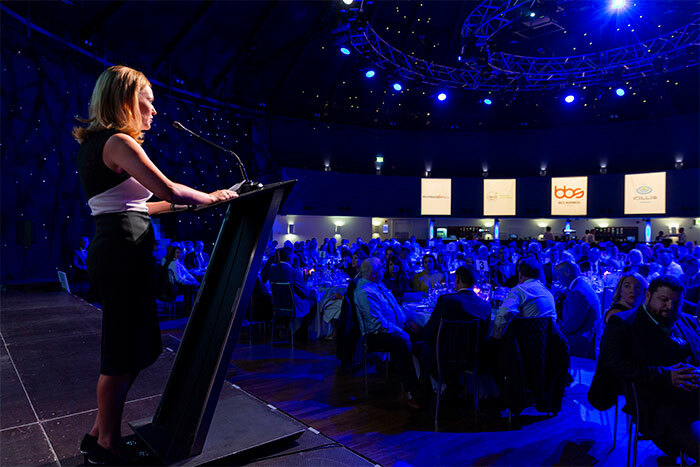 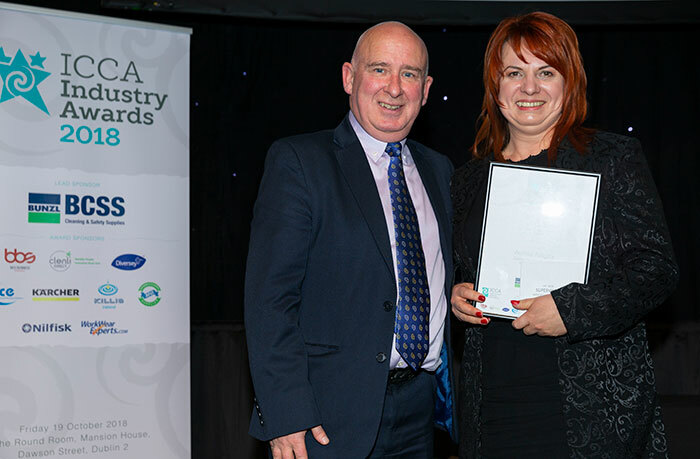 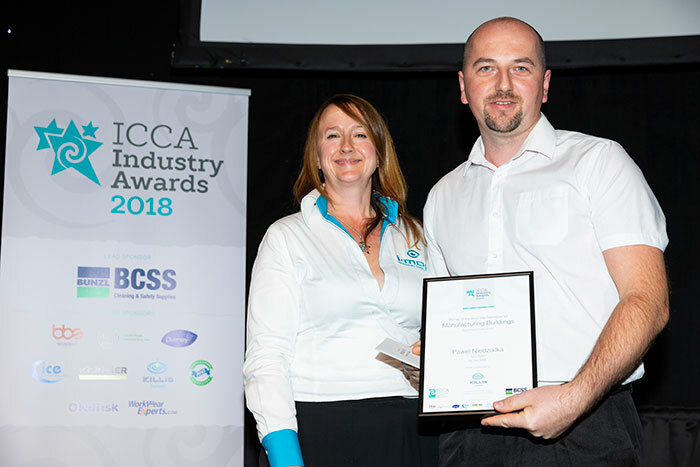 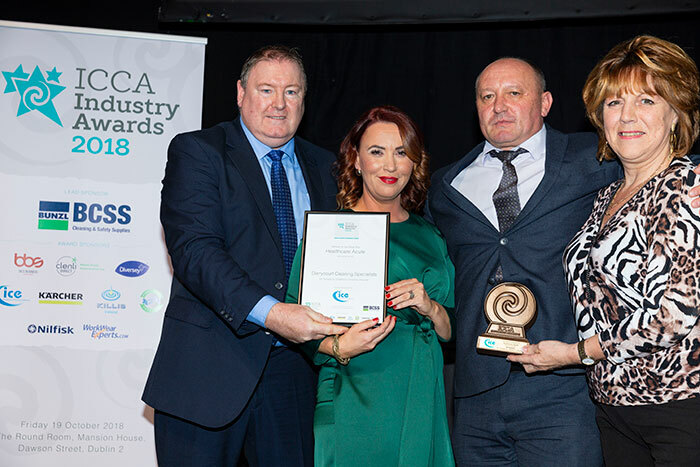 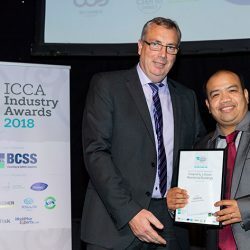 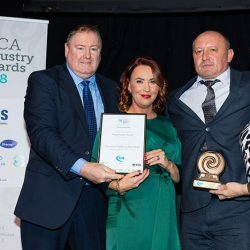 The recent Irish Contract Cleaning Association (ICCA) Industry Awards lunchtime ceremony was held on Friday 19 October in the Round Room at the Mansion House, Dawson St, Dublin 2. 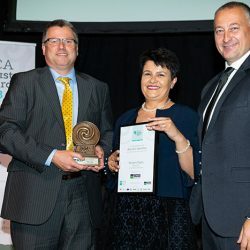 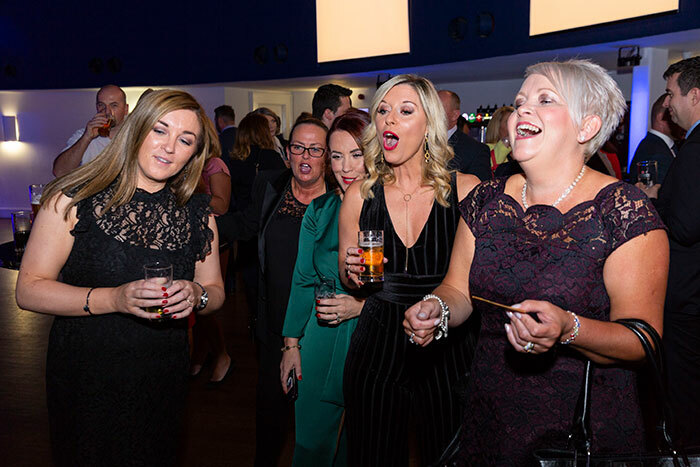 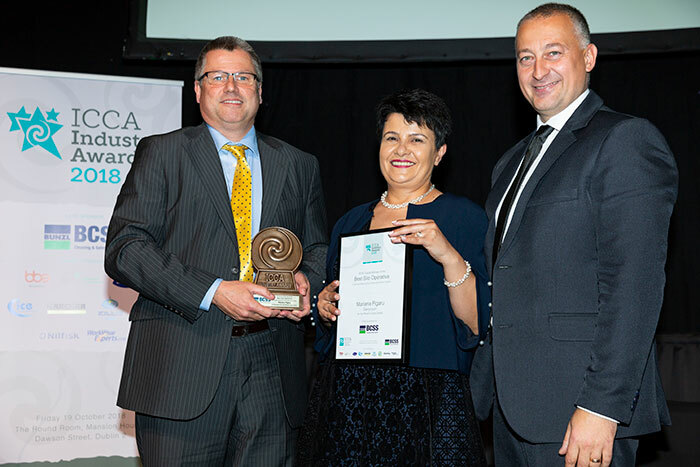 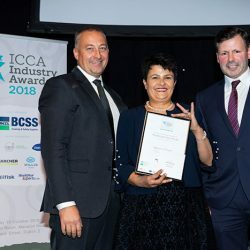 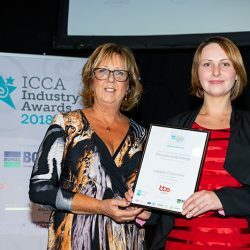 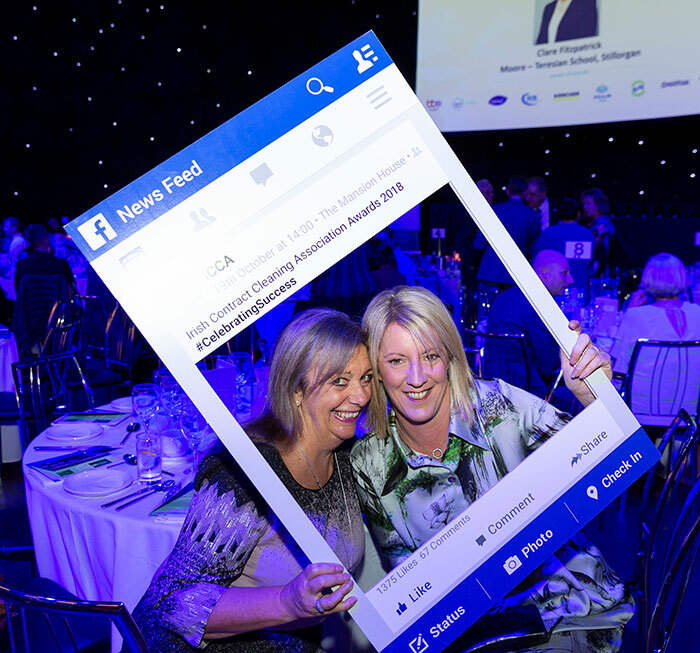 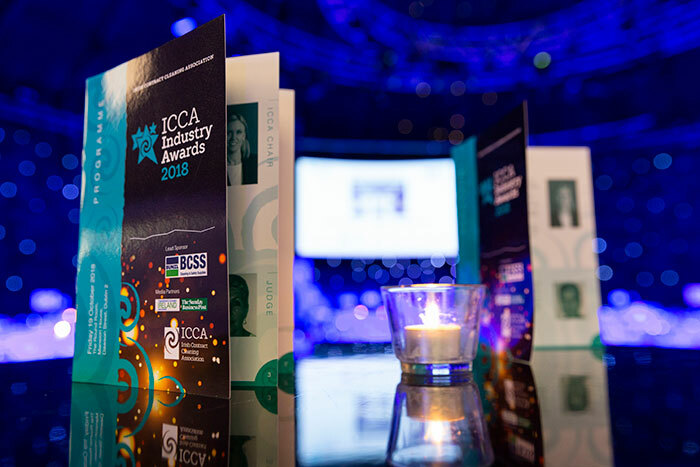 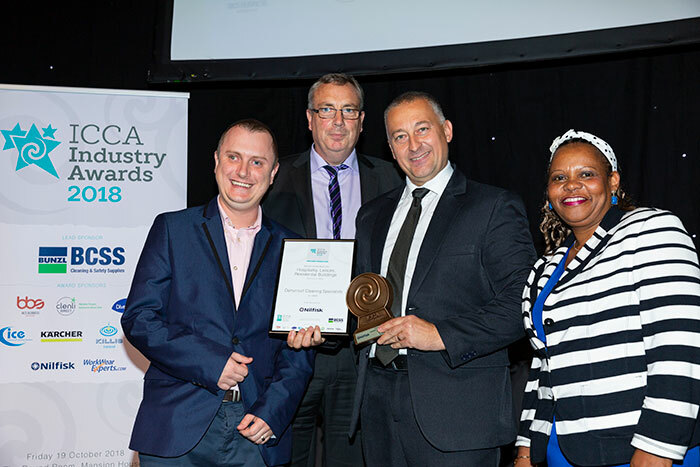 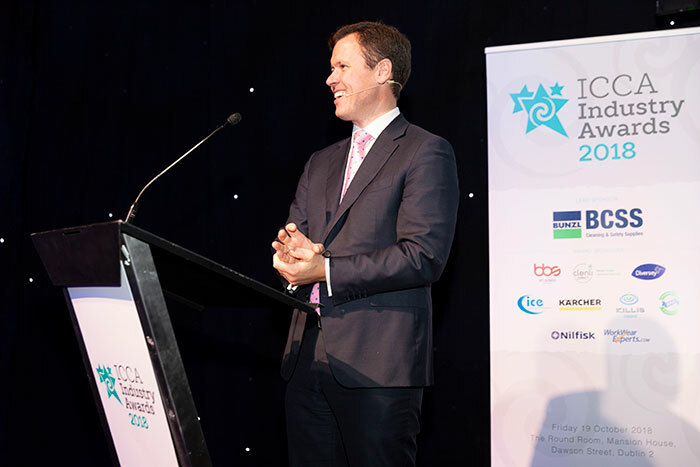 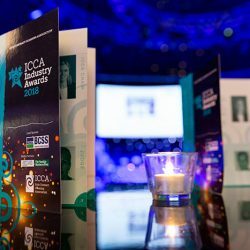 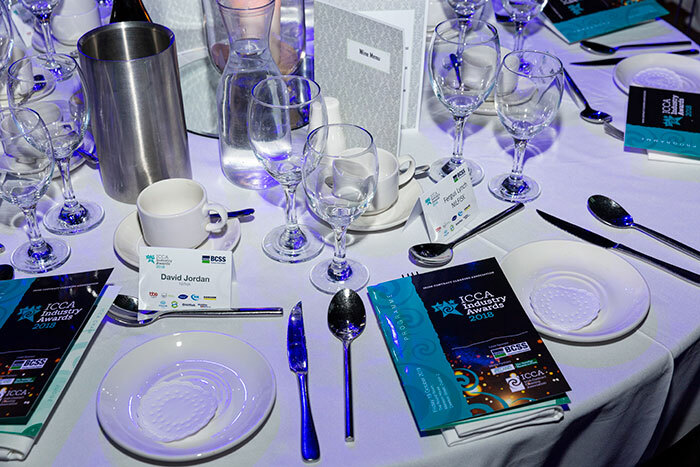 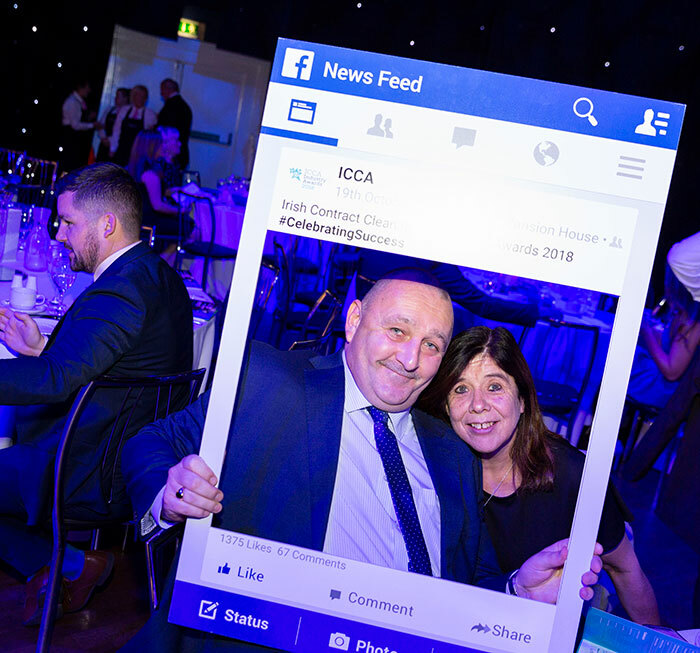 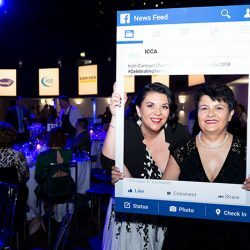 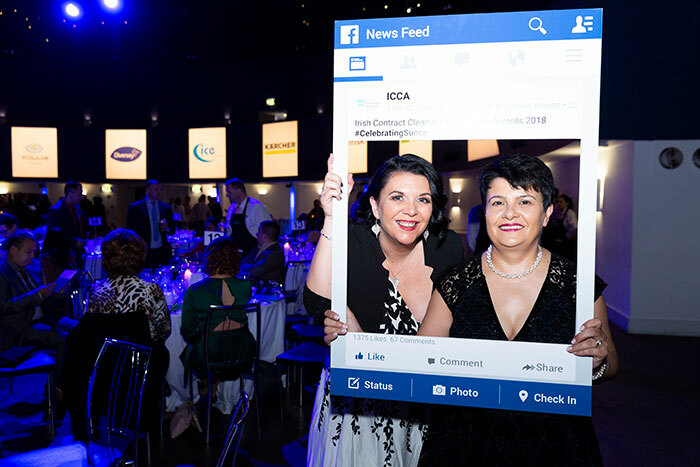 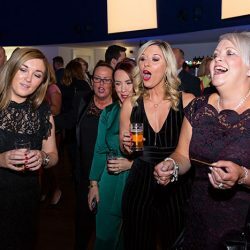 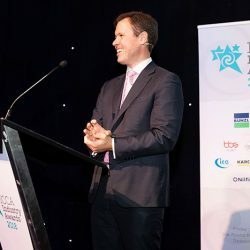 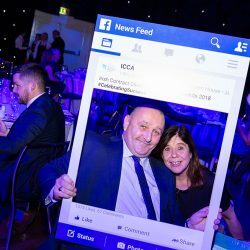 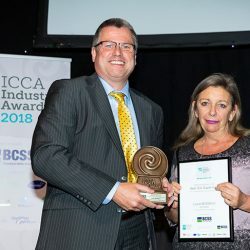 The Industry Awards ceremony is the biggest social event on the ICCA calendar and remains ever popular with members and stakeholders in the industry. 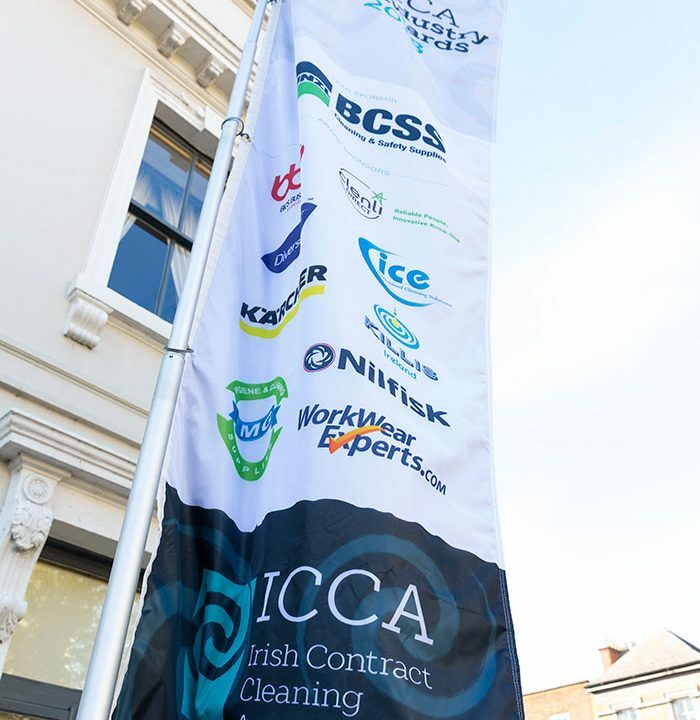 Over 250 attended the event, representing commercial contract cleaning personnel, service providers and guests. 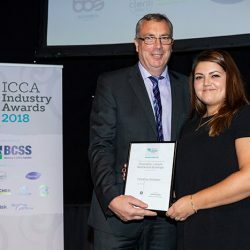 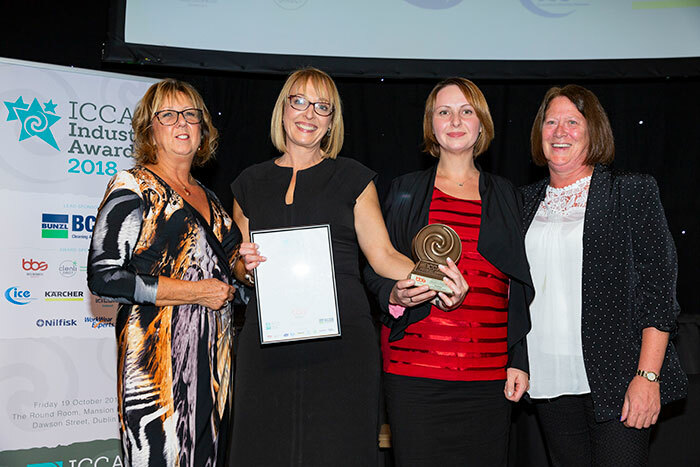 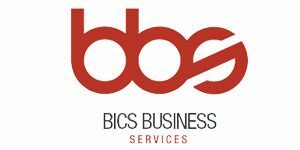 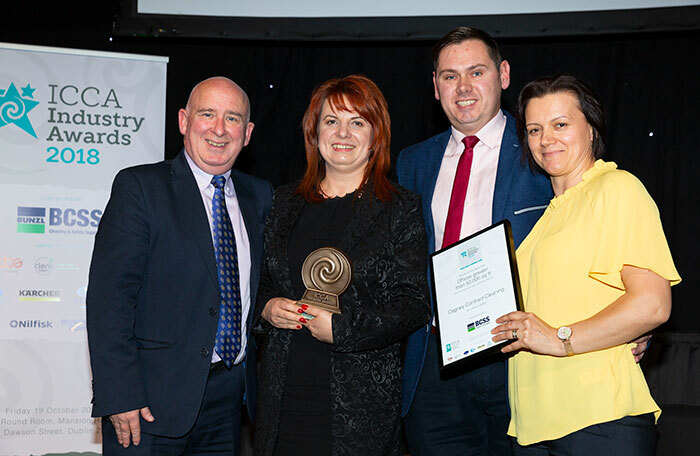 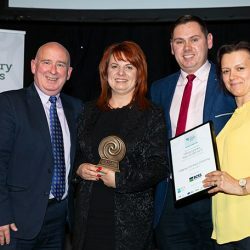 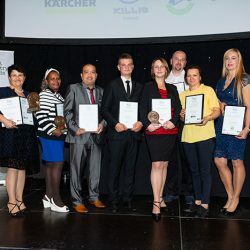 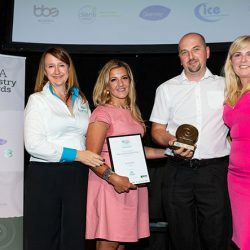 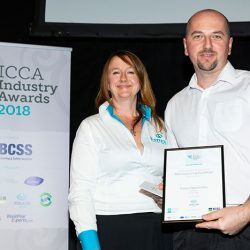 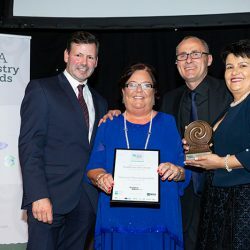 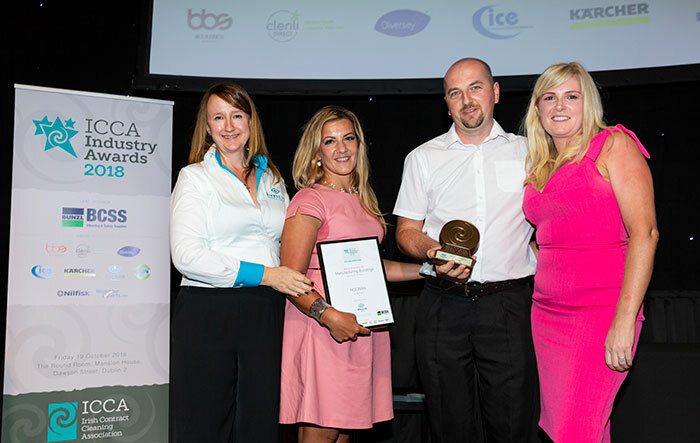 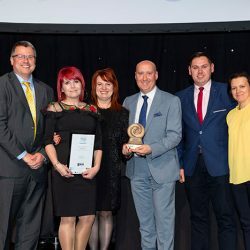 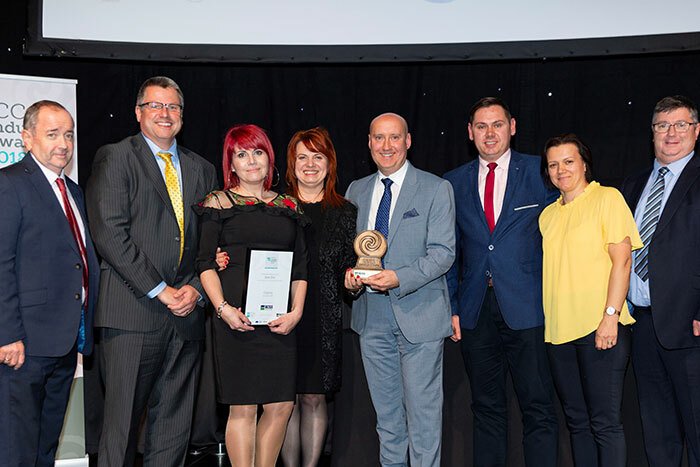 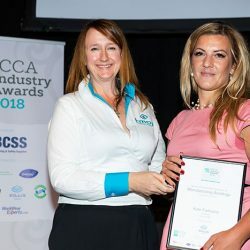 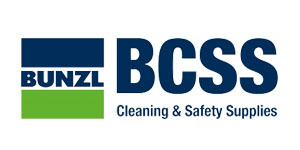 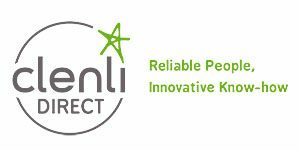 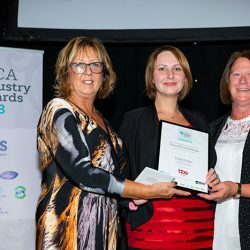 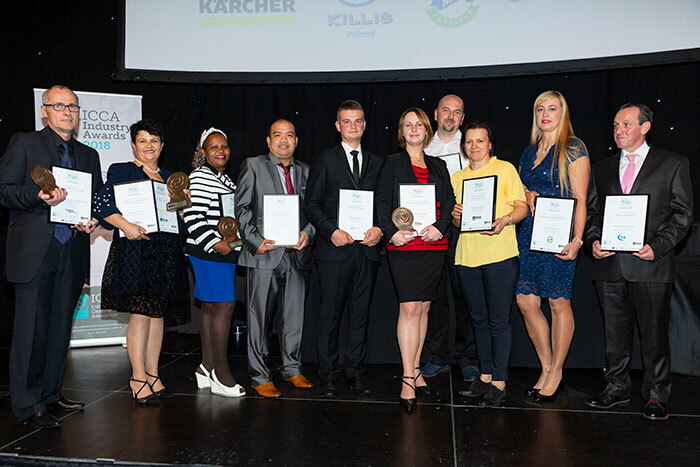 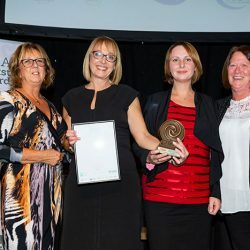 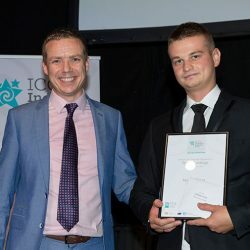 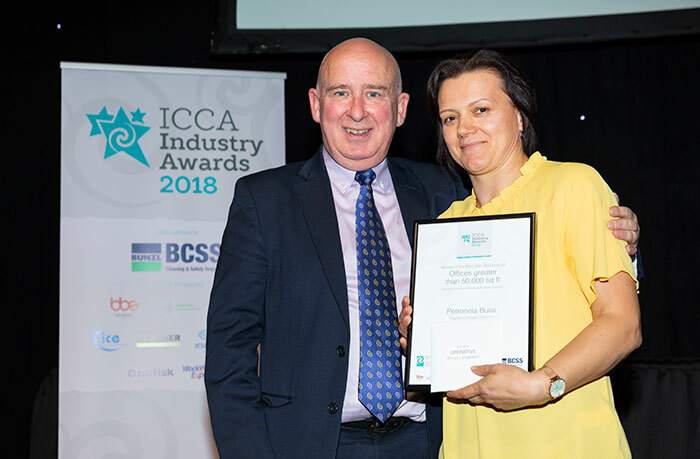 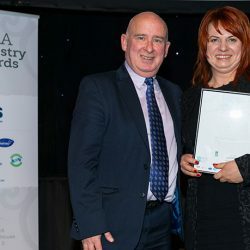 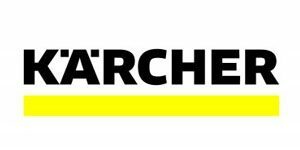 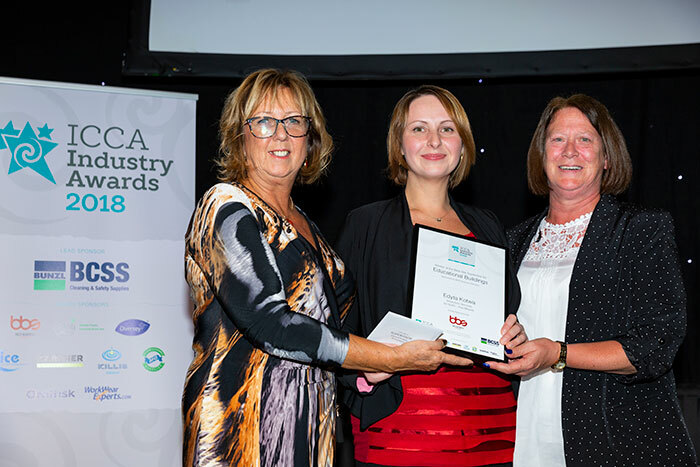 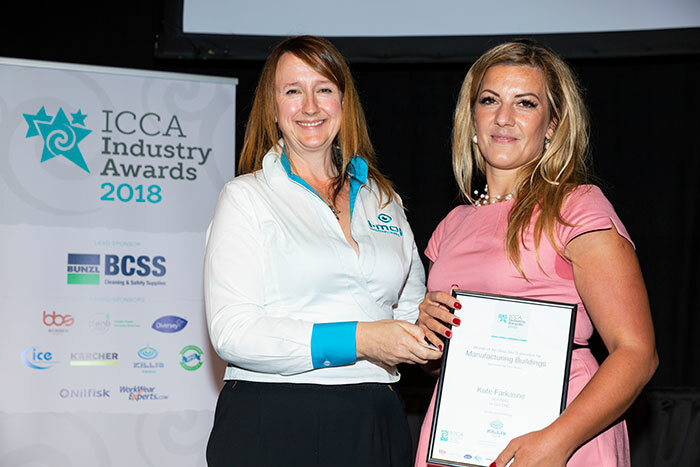 The independently judged Awards recognised service excellence in the industry and celebrated the work being carried out behind the scenes on sites by contract cleaning companies and in-house cleaning teams around the country. 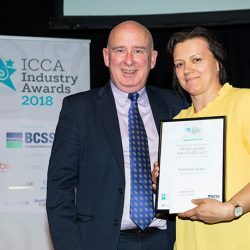 Independently appointed judge, Siobhan Prout, who undertook site visits throughout the summer months, noted that the cleaning standard of sites was extremely high and made assessment challenging. 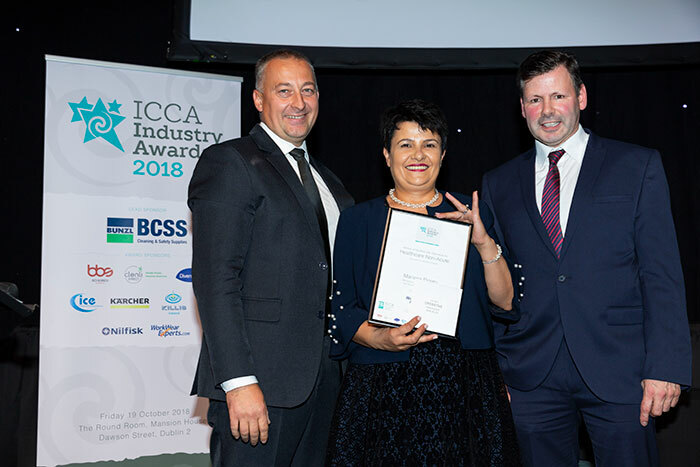 She enjoyed a competitive process and delivered a strong message of professionalism in the industry. 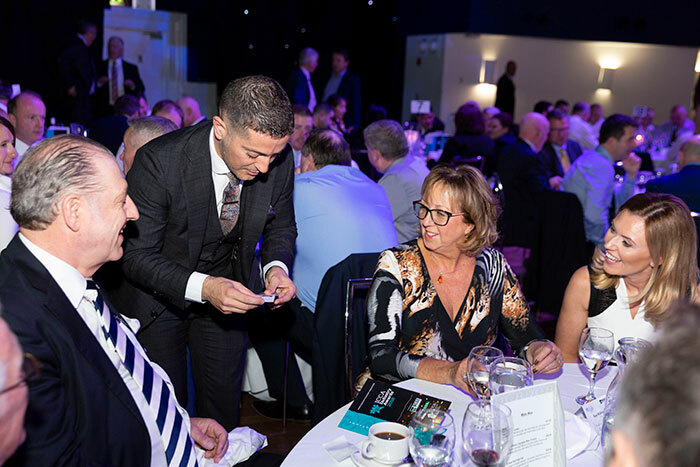 Entertainment was provided by Shane Black – who wowed attendees with his tricks, and magic of the mind. 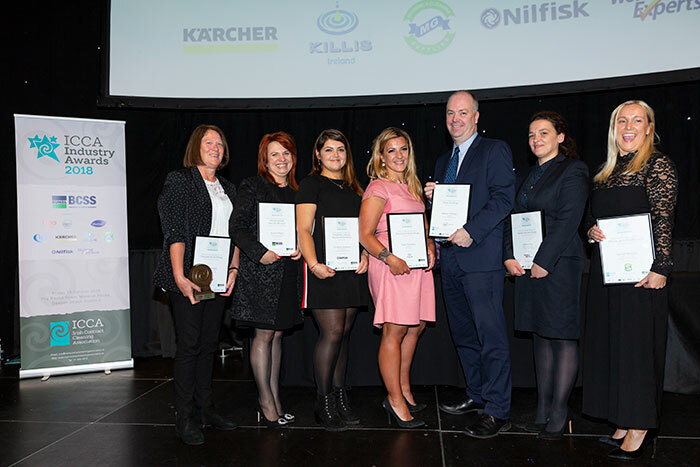 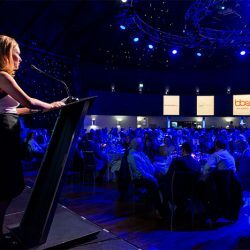 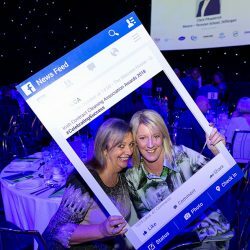 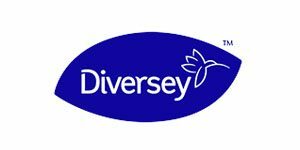 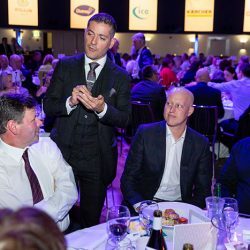 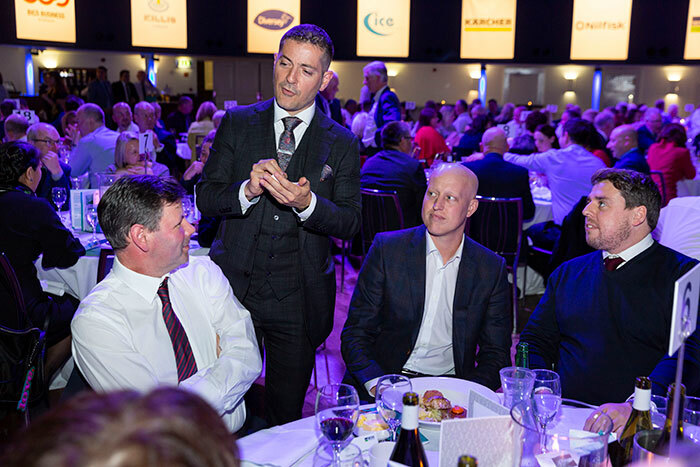 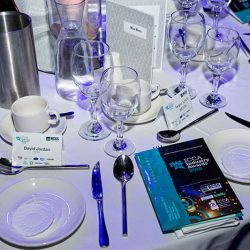 The Awards were attended by some of the key companies in the sector including NOONAN, Derrycourt, Cagney Contract Cleaning, SSE, MCR, Ryans Cleaning, Moore Services, ECO-Group, Momentum, ISS and Grosvenor. 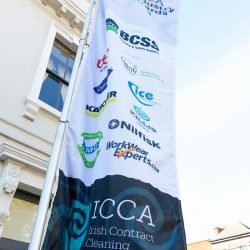 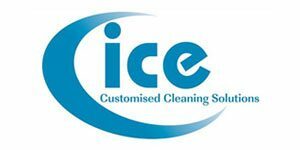 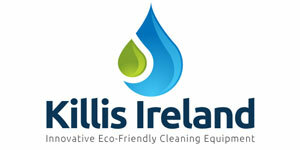 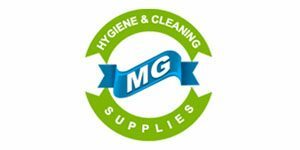 The Awards are Ireland’s most highly prized awards in the contract cleaning sector. 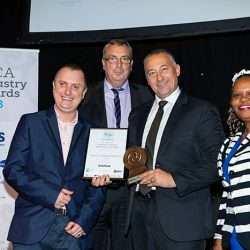 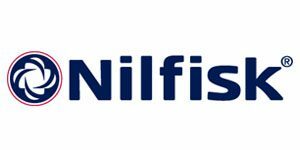 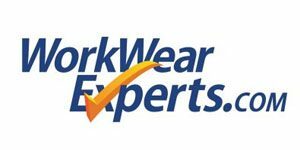 Their purpose is to recognise the high standards of quality and professionalism displayed in the industry, and gives companies an opportunity to celebrate with their teams.